Money and finance is the most important of the material wants in life. Money gives you a happy and contented domestic as well as social life in this period of the Kaliyuga. No matter what one might argue it is money and money alone which makes the difference between suffering and happiness in this material age. A diverse and selection of Indian paranormal remedies for improvement in the financial condition of an individual are given here. These remedies also known in India as Totkas, find mention in rare and ancient Indian religious scriptures. Some of them are tried and tested as has been the experience of many. This is a paranormal remedy to recover your hard earned money from someone who is refusing, avoiding or delaying to pay you back. On the day of Diwali or any other auspicious Muhurat, take some clean cotton and prepare 4 wicks of equal size. Then dip the wicks in Ghee and spread some Nagakesara [an Ayurveda Herb] and Black Mustard Seeds over them. 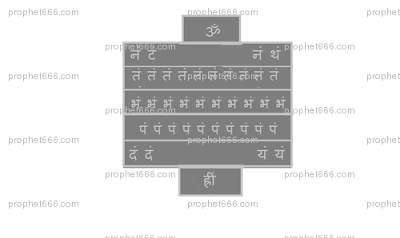 Rin Mukti or Karz Mukti is freedom from debts. Various Mantra Sadhanas and Prayogs of various deities are available for erasing the burden of debts which make the life of the person carrying this burden unbearable and miserable. 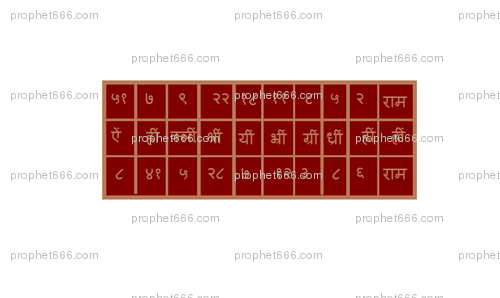 This is Rin Mukti Mantra which addresses all the deities at once and relives your problems. Many a times a woman, who has undergone pregnancy or abortions does not stop bleeding, this is a major cause for concern and discomfort. I am giving an Indian paranormal remedy to stop the blood flow in such cases. The remedy - A red rose has to be taken and kept on a piece of paper. The 21 grains of wheat have to be kept in the centre of the rose; care should be taken to see that not even one of the wheat grains is damaged or broken. In their free time, some computer experts had begun giving much thought to devising some possible much greater mentally adaptable varieties, useful for some theoretical much more advanced computers, to possibly become usable for some future very much advanced mentally superior much more capable robotic devices. They discussed this with some brain functions experts who were especially expert in analyzing in great detail the ways we people become extra motivated to do some things we feel good about for us and others, while avoiding some things we feel are likely no good for us or others. This is a Muslim Naksh, prepared and worn as a Charm to enchant and enhance the love and affection between the husband and wife. Any one of the life partners can prepare this Naksh on a blank piece of paper, written with Kesar [Saffron] paste, using a pointed stick. If the husband keeps it on his body, the wife will come under an Akarshan Spell and become attracted towards him forever. The same is true if the wife makes this charm and keeps it with her. This post is inspired by the sleazy, shady and under hand things happening currently in Indian politics. Blocking the progress of others and personal ambition appears to be the most important agenda. India desperately reeling under corruption and mis governance needs some stability and good governance to progress, this is impossible if the politicians are hell bent on destroying each other. There are always good and honest politicians and for such persons the Rooster is a lucky charm for progress in Politics. A tortoise have the head of a dragon is considered as a most powerful charm for success and abundance in business as per Feng Shui and a symbol of the positive or male energy “Yang”. A small tortoise is placed on the back of this animal and it sits on a pile of coins. It is said to attract strength and power in the form of Yang energy. This is a Jain Mantra for Child Health and Safety; it is helpful in treating a child who is suffering from fever or any unknown ailment. 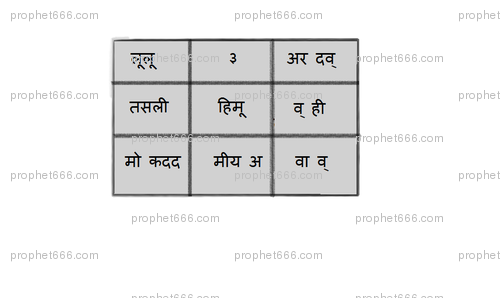 The Mantra is also used to protect and get rid of any kind of Black Magic or Buri Nazar [Evil-Eye]. It will be of great help to mothers concerned about the health and welfare to their child. Some of the best most useful robotic devices were those programmed able to adapt to unusual conditions. How far should this be developed? Should ability to self-adapt be extended to let them sometimes alter their internal mental programming however much they might like? The Aghori Mahayakshini Mantra Sadhana is conducted in the Third Prahara of the night; the period around 3.00 AM in the night. The Sadhak has to sit under a Banyan tree and chant the mantra 125,000 times. If the Sadhak succeeds in invoking the yakshini, the following things are likely to occur.